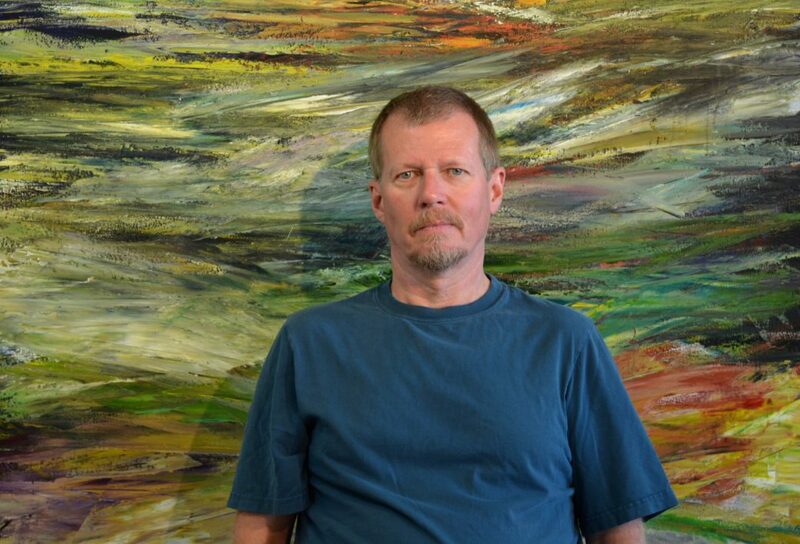 David Tycho is a Canadian talent whose works – jumping from figurative representations of humans to abstract pieces inspired by the wilderness – have featured in numerous international exhibitions, collections and publications. It’s time to spend a day with him in Vancouver, where the views are spectacular, the light generous and the creativity endless. Good morning, David! What’s the first thing you do when you wake up in the morning? I’m a creature of habit. I have my breakfast, coffee, shower etc., and then hop on my bike and cycle 8 km from my home to my studio. The ride is amazing, along a Pacific Ocean inlet, with views of the water, beaches, parks, mountains and the city. This 30-minute commute helps to clear my head, and I use it to focus on what I plan to paint that day. This is the million dollar question that I really don’t have a great answer for. It is simply a desire that I have had since I was a child. If I am not creating, I get irritable and even depressed, so in some ways it is a means to stay mentally and emotionally healthy. 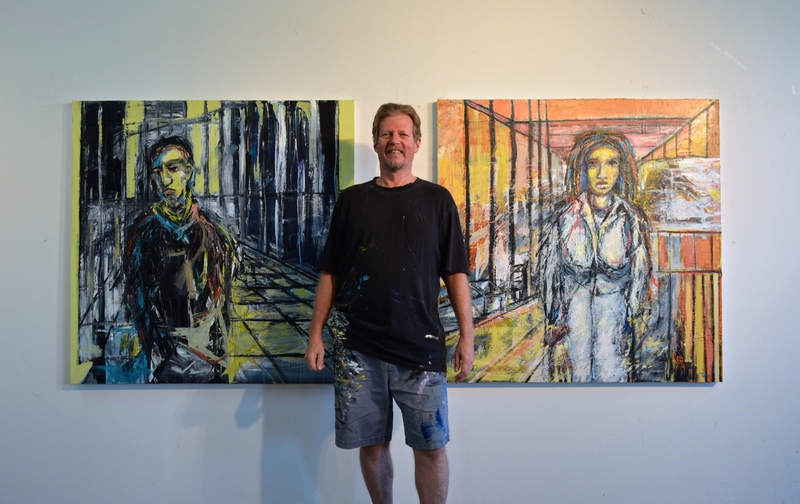 From a more outward looking perspective, my art is also a vehicle for connecting with others in a deeper or more complex way, since much of our daily human interaction is on a rather mundane or superficial level. I have an 85-square-metre (900 square feet) studio in an enormous converted warehouse in an industrial area of Vancouver. It’s on the 4th (top) floor of the building, and has very high vaulted ceilings, large windows, and unobstructed views of the local mountains. The building houses dozens of studios, shared by hundreds of artists. I generally start with a photograph or a memory, and use it as a starting point. I will block in a general composition and then allow instincts and aesthetic inclinations to take over. 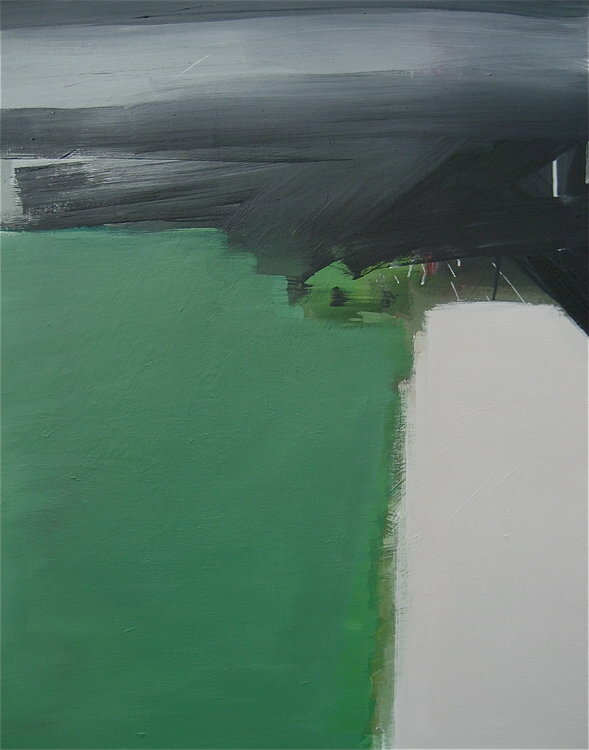 In that sense, I don’t have a preconceived notion of how the painting will develop or end up looking. I use trowels, brushes, knives, rollers, rags and even my hands to get the desired effect. The finished work may have traces of my original idea in it, or it may have gone in a completely different direction, sometimes more representational, and other times more abstract. David Tycho ‘Lovers in the Time of Peril,’ 2018. 101x153cm, acrylic on canvas. My bike ride to my studio is an important part of my ritual, and once I have set up and started painting, I really prefer uninterrupted silence. I turn off my phone, don’t listen to music, and don’t like to be disturbed. I develop a kind of rhythm and momentum while I work, and an interruption can bring that momentum to a grinding halt. It’s hard to resurrect that original flow, and the painting can become severely compromised. An artwork is finished when I realize that I have started petting or tidying the rough and spontaneous elements of the painting. I want the painting to be fresh and loose, and if I start “correcting” things, I am actually detracting from my preferred improvisational approach to painting. I’ve ruined so many works by crossing this line and overpainting. It requires a keen sensibility and self-restraint to stop, but to me, understatement is always more interesting, aesthetically and conceptually, than overstatement. 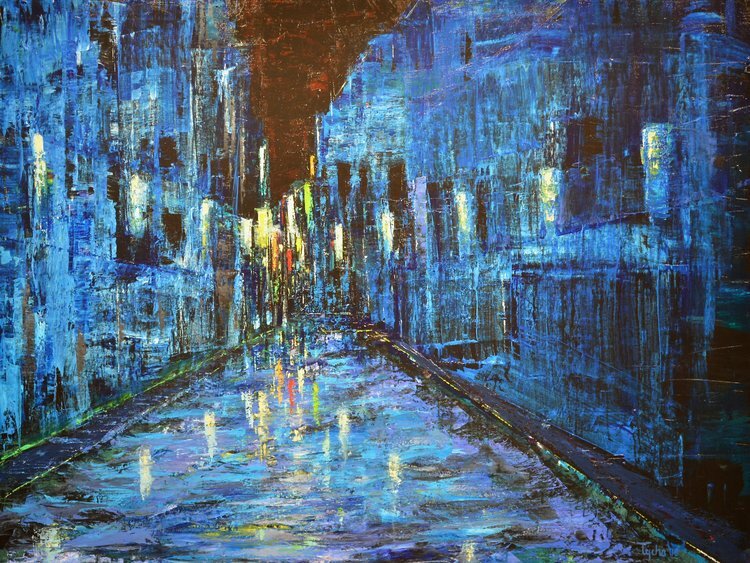 David Tycho ‘Blue Street,’ 2016. 101x122cm, acrylic on canvas. I really enjoy my bike ride home, followed by a nice dinner with wine, usually at home but occasionally in a bar or restaurant. I’m a sports fan, so I’ll take in a hockey, basketball, baseball or football game on TV, depending on the season. And when the weather is good, I’ll periodically head off into the wilderness to camp alone or with a friend. I find this activity very rejuvenating. My overall favourite aspect of the creative process is pushing myself into unfamiliar territory, and eventually finding my way. When you push yourself, new and good things can happen. This is why every series I do is quite different from the last. My greatest fear is to be an artist who finds a comfortable path, and then never deviates from that. I want to always be in the water a little over my head. David Tycho ‘Vital Gesture No. 1,’ 2011. 122x91cm, acrylic on canvas. 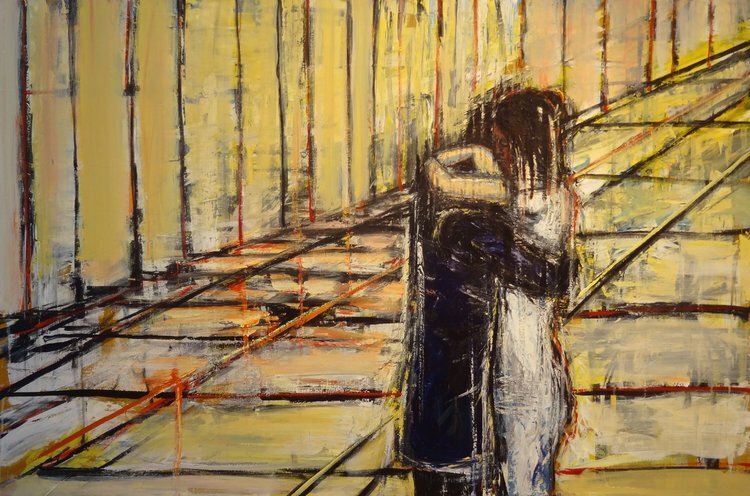 Delve into David’s figurative and abstract works.